Have you ever gone fishing? And I don't mean one of those indoor fishing outlets where you sit with a snack in hand and pretend to be on a real fishing boat awaiting your first bite. I'm talking about being on a real boat, in the midst of the deep clear water; wind blowing hair in your eyes as you wait for your very first catch on what could be one of your most memorable trips ever. Well, I for one have never gone fishing for real. I have been to an indoor fishing centre once but that was years ago and the only thing I remember is that it's located somewhere in Subang. Honestly, it was a pretty boring night for me and my main reason for going was simply to hang out with my other girlfriends because their boyfriends then were suddenly into indoor fishing. Apparently it was the in sport at one point in time. How about you? Are you a water-loving adventurer who fancies fishing as a sport? If you answer yes, you may want to check out the Backlash at Charter Fishing Destin for your next fishing trip. From what I hear, the Backlash is one of the best when it comes to both fishing and comfort. Operated by Captain Jason Mikel who is a seasoned fisherman with 20 years of experience, the Backlash promises you an exciting fishing adventure. Built for Speed, Fishing and Comfort, this 40’ boat offers you top-notch fish-finding equipment for a fruitful catch as well as all the homely needs you require while away at sea including a restroom, microwave, air-conditioner, refrigerator, TV/DVD, Stereo and even a Play Station! 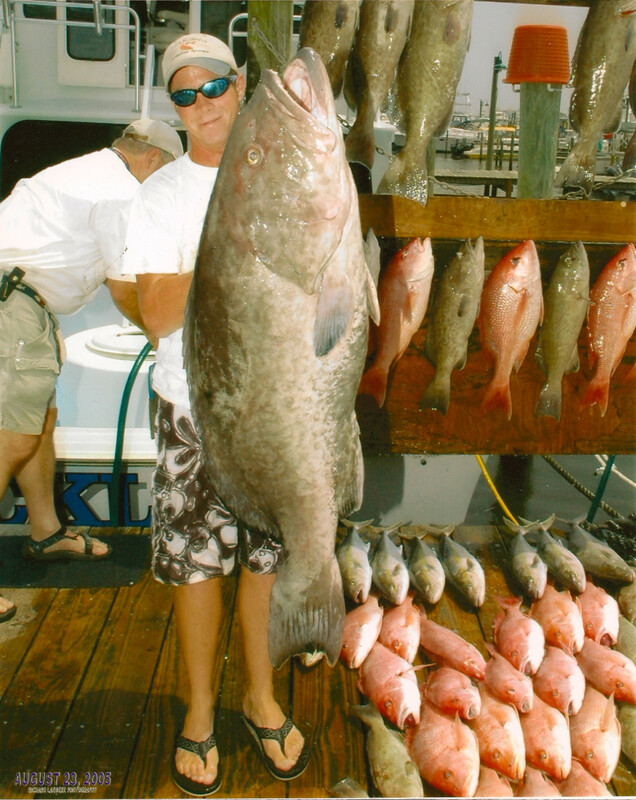 Check out this huge fish caught aboard the Backlash! It would take forever for my cats to finish feasting on this giant! woott.. early bird catches the worm.. that's me!! lol! I hate going fishing... i used to accompany my cousin and I was so bored sitting there doing nothing!! hahahhaha.. what a big fish that is GP... i think you kids and my kids put together also cannot finish for sure!! lol!! That is one huge fish and yes the cats would have a blast with that one. I have never been fishing and really have no desire to go. I like doing things on land although I don't mind a boat trip every once in a while. 8-) 8-) 8-) GK Meow 2! Ha ha tell me abt it!! LOL years?? He he he the fish will go bad before they can finish it all I think, meow! See u Mon, hope u enjoyed ur event! So u’ve been fishing too Bill, did u catch a lot of fish? ;) And yowzaaaaa to dis huge fish! I wonder how much it weighs too….